Released August 3, 1933 (Sound - two reels). 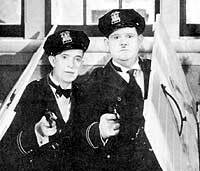 Officers Laurel and Hardy are sent to investigate a man breaking into a house. Unfortunately they lose the address. When they find the house, they break in in order to get their man. However, the man is none other than their Chief.